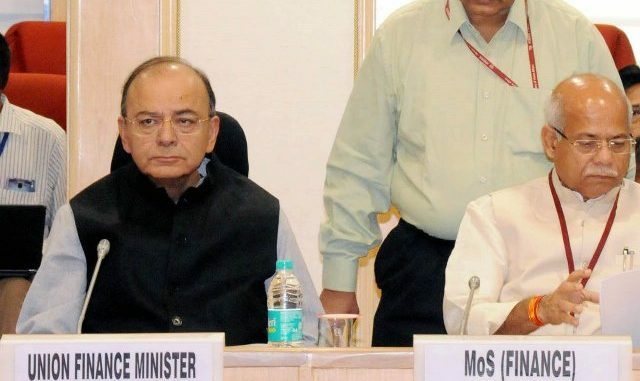 The GST Council has considered the implementation experience of the last 3 months & gave relief to small traders in the GST, said the Finance Minister in his twitter blog.as he added that Now traders up to 1.5 cr turnover would be required to file quarterly returns. The council has also decided to reduce GST rates of 27 items those include dried Mango Slice, Khakra, Roti, Non branded medicines of Ayurved,Homeopathy, Unani and Sidh. Besides E-Waste and waste, paring and scraps of plastic are also among the items those met GST rate cut. The composition scheme shall be made available to taxpayers having annual aggregate turnover of up to Rs. 1 crore as compared to the current turnover threshold of Rs. 75 lacs. This threshold of turnover for special category States, except Jammu & Kashmir and Uttarakhand, shall be increased to Rs. 75 lacs from Rs. 50 lacs.The turnover threshold for Jammu & Kashmir and Uttarakhand shall be Rs. 1 crore. The facility of availing composition under the increased threshold shall be available to both migrated and new taxpayers up to 31.03.2018. The option once exercised shall become operational from the first day of the month immediately succeeding the month in which the option to avail the composition scheme is exercised. New entrants to this scheme shall have to file the return in FORM GSTR-4 only for that portion of the quarter from when the scheme becomes operational and shall file returns as a normal taxpayer for the preceding tax period. The increase in the turnover threshold will make it possible for greater number of taxpayers to avail the benefit of easier compliance under the composition scheme and is expected to greatly benefit the MSME sector. Presently, anyone making inter-state taxable supplies, except inter-State job worker, is compulsorily required to register, irrespective of turnover. It has now been decided to exempt those service providers whose annual aggregate turnover is less than Rs. 20 lacs (Rs. 10 lacs in special category states except J & K) from obtaining registration even if they are making inter-State taxable supplies of services. This measure is expected to significantly reduce the compliance cost of small service providers. To facilitate the ease of payment and return filing for small and medium businesses with annual aggregate turnover up to Rs. 1.5 crores, it has been decided that such taxpayers shall be required to file quarterly returns in FORM GSTR-1,2 & 3 and pay taxesonly on a quarterly basis, starting from the Third Quarter of this Financial Year i.e. October-December, 2017. The registered buyers from such small taxpayers would be eligible to avail ITC on a monthly basis. The due dates for filing the quarterly returns for such taxpayers shall be announced in due course. Meanwhile, all taxpayers will be required to file FORM GSTR-3B on a monthly basis till December, 2017. All taxpayers are also required to file FORM GSTR-1, 2 & 3 for the months of July, August and September, 2017. Due dates for filing the returns for the month of July, 2017 have already been announced. The due dates for the months of August and September, 2017 will be announced in due course. The reverse charge mechanism under sub-section (4) of section 9 of the CGST Act, 2017 and under sub-section (4) of section 5 of the IGST Act, 2017 shall be suspended till 31.03.2018 and will be reviewed by a committee of experts. This will benefit small businesses and substantially reduce compliance costs. The requirement to pay GST on advances received is also proving to be burdensome for small dealers and manufacturers. In order to mitigate their inconvenience on this account, it has been decided that taxpayers having annual aggregate turnover up to Rs. 1.5 crores shall not be required to pay GST at the time of receipt of advances on account of supply of goods. The GST on such supplies shall be payable only when the supply of goods is made. After assessing the readiness of the trade, industry and Government departments, it has been decided that registration and operationalization of TDS/TCS provisions shall be postponed till 31.03.2018. The e-way bill system shall be introduced in a staggered manner with effect from 01.01.2018 and shall be rolled out nationwide with effect from 01.04.2018. This isin order to give trade and industry more time to acclimatize itself with the GST regime.